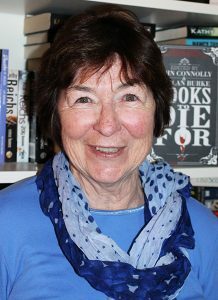 An independent publisher and crime writer, Lindy is author of the Kit O’Malley PI trilogy Blood Guilt, Bleeding Hearts and Thicker Than Water; the archaeological mystery Golden Relic; the action thriller Redback; and the sf crime Feedback. Lindy is two-time Readers’ Choice Davitt Award winner: for Bleeding Hearts (2002) and Thicker Than Water (2004). 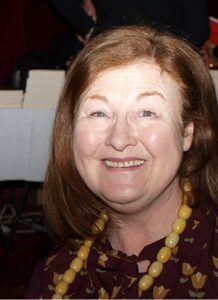 She is also co-author of the True Crime collections: Killer in the Family and Murder in the Family, with her sister Fin J Ross; and Women Who Kill, with Ruth Wykes. Lindy, who currently holds the position of President, is a founding member and convenor of Sisters in Crime and the Publisher at Clan Destine Press. Robyn has been a member of Sisters in Crime since 1997. She has worked in university teaching, research and book editing, and has published short fictions. Carmel is the inimitable powerhouse behind Sisters in Crime, but we couldn’t possibly place her way down an alphabetical list (although she assures us she doesn’t mind) so we are breaking with convention and listing our fabulous convenors in order of convening years. 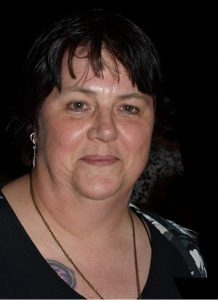 Carmel helped found Sisters in Crime Australia in 1991 and has been a national convenor ever since. She was inspired by the new wave of feminist crime writers, including Sara Paretsky who founded Sisters in Crime in 1986 at Bouchercon, the premier US crime writing convention. Carmel loves the combination of politics, suspense, good writing and fun that women’s crime writing and Sisters in Crime has brought to her life. 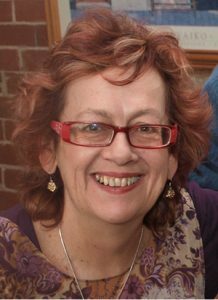 Carmel is an historian by trade, has worked as a union organiser at the ABC, and a media officer in local government and the trade union movement. She runs her own PR business Shute the Messenger. Her long-term ambition is to write the definitive crime novel set in local government. Carmel currently holds the position of Secretary. Lesley holds a Bachelor of Business with a major in Accounting. She has worked in a few industries (i.e. banking, confectionary, legal and the trucking industry) during her working life prior to taking her undergraduate degree and joining the public service. She is now a retired public servant and has recently moved back to Melbourne from Canberra where she spent most of her public service life. In her last job she managed a budget of $1.4 billion. Lesley has been a keen horse rider, dressage judge and competition organiser, and still attends some large international competitions. For 25 years she was treasurer of the ACT Dressage Association and the National Capital Equestrian Association. From an early age she cut her reading teeth on the old Mistresses of Crime – Agatha Christie, Dorothy Sayers, Ngaio Marsh and Marjory Allingham – and some American crime fiction notably Rex Stout and Raymond Chandler. She also reads science fiction, fantasy and travel memoirs. She has no intentions of ever writing a novel, preferring to enjoy others’ stories. Caz has a BA in Professional Writing and Literature, a Diploma in Clothing Design and a Grad Dip in Graphic Design. She puts these to good use by designing and editing most of the Sisters in Crime printed material and also helps out with snail-mailouts at Carmel’s, when laughs and a good feed are guaranteed! Caz’s first encounter with Sisters in Crime was in 1992 when she was on the St Kilda Writers Festival committee. Sisters in Crime held a trivia night at the Village Belle – the most successful event of the festival. At that time, she was reading dodgy lesbian crime fiction on the tram to work, started to go to Sisters in Crime events, and became a convenor in 2011. 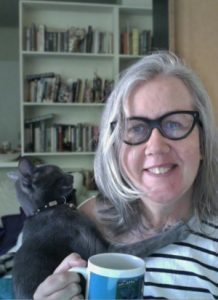 She was delighted to discover Koko and Yum Yum, Lilian Jackson Braun’s pair of sleuthing Siamese cats – quite the opposite of her own Orientals who are all incorrigible ‘tea leaves’. Current must watch is The Bridge – the Scandinavian version, of course. Moraig is a freelance writer, reviewer and editor with murderous impulses. She champions Australian genre fiction, particularly crime fiction. Moraig’s monthly book reviews can be found on the Sister’s website. For her sins, she helps out at Clan Destine Press and does what she’s told (with a smile). 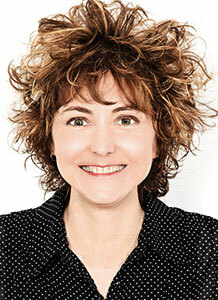 Moraig holds a Diploma and an Associate Degree in Professional Writing and Editing at RMIT. To balance her dark side, and because she enjoys romantic suspense, she’s a proofreader for Romance Writers of Australia’s monthly newsletter Hearts Talk. Sometimes she writes in the vague hope of one day finishing her police procedural novel The Salt Works. Having worked with books and information in a variety of roles, Pauline is a keen and critical consumer – and is especially supportive of the Australian voice. Crime writing is of special interest – especially when combining an historical or travel element. 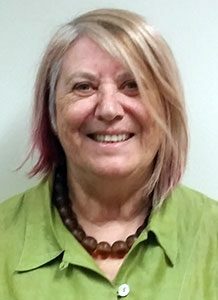 Pauline has worked in in education, in public libraries and for various community based groups in a variety of programs and is currently using her skills and commitment to social justice in working as an Advocate in Aged Care. She was elected a convenor in 2016. Tara grew up in Adelaide, aka ‘Strange Murder Capital of the World’, which meant an interest in crime was somewhat inevitable. Initially unsure of how to translate this into a career, she qualified as an economist and administrator at university, but then decided against boring people to death for a living. Finding the wine trade (the other great industry South Australia is famous for) far more interesting, she found a new passion for fermented grapes, which has taken her around the globe. She is currently writing her first crime fiction series and scripting a true crime podcast. Maryann is a writer of crime, thriller, suspense, drama and horror. She is currently studying a Master’s Degree in Psychology, enlisting coffee and Unicorno’s as a reward system. Working with universities, retailers, NGOs and most things in between, she champions digital transformation and marketing projects. 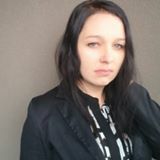 You can catch her on Twitter, tweeting mostly about bookish stuff @marswebb1 and reviews on www.thebookreviewery.com as an excuse to buy more books. Queensland Convenor Janelle became serious about writing when chronic illness and disability curtailed her international operatic career with the Australian and Frankfurt Operas. She now runs Salubrious Productions, an entertainment and production agency, has produced over 1400 events, recorded three solo CDs, and has appeared as singer, speaker, MC, workshop facilitator and media spokesperson on topics ranging from diabetes to arts marketing around Australia and in Paris, Bermuda, Seoul, Chicago, Montreal, Switzerland, Dubai, London, Auckland, Berlin and New Delhi. In October 2016 she will undertake an arts leadership mentorship in Wales. 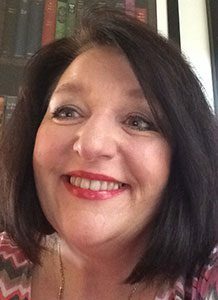 Janelle writes and edits marketing and promotional material, has had more than 100 of her arts, disability and health articles published, won awards and been included in anthologies with her short stories, most recently in Short and Twisted 2016 under her pen name J C Lesley. She gave a reading at the Queensland Writers Centre ‘Whispers’ in 2014 and is currently working on the script for her one-woman cabaret Blind Date and her crime novel, featuring a blind protagonist and her police/guide dog Spike. 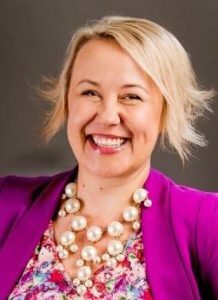 In her spare time she sits on a number of Queensland Health committees as consumer rep and convenes Sisters in Crime Queensland. 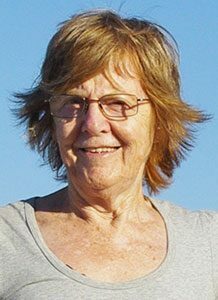 Val, WA Convenor, is a retired public servant (as indeed are almost all of the Perth Sisters! ), feminist, recreational cyclist, amateur photographer and, above all, lifetime reader. Sisters in Crime has had many convenors – each has given generously of their time and talents, for which we thank them.